CODE :The Future We See through Follow The Money Newsroom. 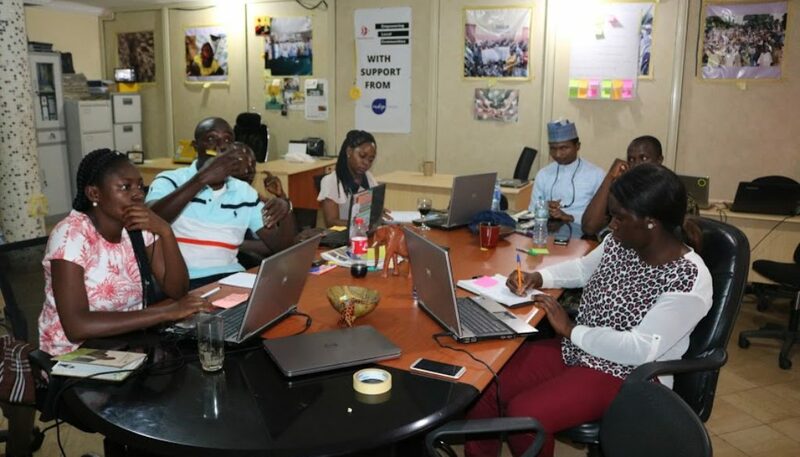 A non-governmental organisation Follow The Money, an initiative of Connected Development (CODE)Connected Development (CODE) is set to launch “Virtual Newsroom. The products from the Virtual Newsroom is set to further engage and empower more marginalized people in rural communities to enhance their livelihoods. Speaking at an In-house training organised by CODE, the monitoring and Evaluation Officer, Oludotun Babayemi said Follow The Money is planning a virtual newsroom that will run 24 hours – several times in a month with the objective of strengthening the voice of 95 million Nigerians leaving in rural communities in Nigeria, while increasing their participation in governance. He said it’s important to have a participatory kind of discussion on how the newsroom is meant to look like, who’s doing what and create a larger workflow other than the one we have been using. “We are talking about a newsroom that has over 60 reporters reporting into it from remote places. This means we need a robust, scalable and efficient framework other than the one we were using before. We thought it will be good to have a meeting to deliberate, discuss, make comments and suggestions about how the newsroom is meant to look like and also decide on the future of Follow The money,”he said. The Monitoring and Evaluation officer, said Follow the Money is always motivated by stories from rural communities, which never gets into the mainstream media, adding that every time there is a visit , they hear about new stories, not just for the success alone but of failures of communities that are still ailing other than the ones that are focused on. He added that it is always motivating that the group can do more and can have more people to do more. “We are looking at the massive strength in the young people that we have, we can engage more of them and we can also have more communities that will be proactively vigilant in ensuring transparency and accountability of funds meant for their communities as well. These are the motivation for Follow The Money,” he said. He further called on the general public to be on the lookout for new radio programs that will come up especially Follow the Money radio, adding that radio is what people in the rural communities rely on to get information. Mr. Babayemi explained that Follow the Money radio will be used in increasing rural community participation on governance as it concerns implementation of funds meant for capital projects in their communities l.
“ They should look out for some of our bulletins and prints that we would want to share with them on the money we are following and money for the community and also on what the government is saying about such money should be something interesting the communities should be looking forward to,”he said. He said these target audience could also be able to read about Follow the Money In online and offline bulletins or magazines. “In essence, seeing Follow the Money as a community mechanism where they can also read about their own community, and get their voices amplified is the future we see through Follow the Money and I hope that we will be able to achieve that,” he said.